The natural world is a glorious treasure trove of inspiration, containing a breathtaking variety of living forms in all their myriad colors and textures. Lulled by sweeping vistas and lush landscapes, it’s can be easy to overlook nature’s darker side. Which is why our latest design challenge focuses on those fits of rage that engulf the earth in a devastating outburst of howling gales and torrential rains. Imagine glowering black storm clouds rolling across the skies, split by forks of jagged lightning and accompanied by crashing rumbles of thunder. Rushing floods of water appear in an instant, engulfing everything in their path, while raging winds tear across the earth, ripping up tree roots to leave gaping wounds in the earth. 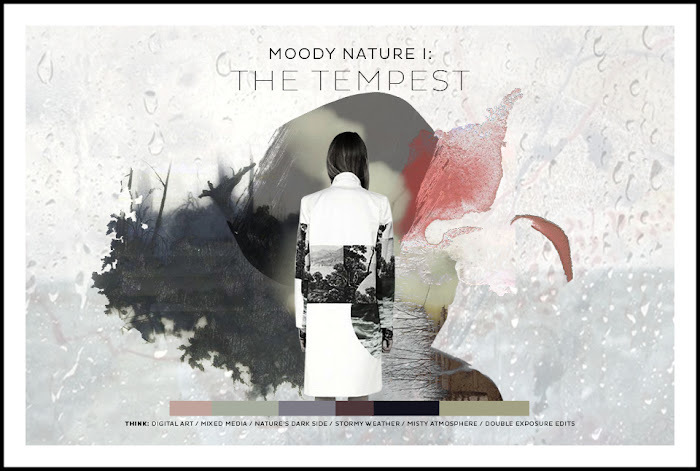 We want to see designs that reveal the unforgiving wrath of nature, so use all the tools at your disposal; whether through mixed media or digital techniques we’re looking forward to seeing the beauty of the storm in all its rough, textural glory. Each winner receives a one-off prize of 200€ once the collection launches on the website plus a sample of their products when it arrives in stock. But that is not all – if your design receives 500 orders on wholesale, you will receive an additional €200. This means that FRS can continue to embody the spirit of fashion democracy, rewarding our top designs again...and again...and again! We will also conduct an interview with the winner, publicizing their design across the fashion community in Berlin and worldwide. To learn more and to submit your designs into the competition, go here.